Planimetrics feature class is created to assist in City of Austin planning activities. Planimetric features are a compilation of features produced for the 2015 City of Austin Planimetrics/Impervious Cover dataset.  Decks feature class is created to assist in City of Austin planning activities. Decks are created from heads up digitizing using 2012/2013 Orthoimagery and 2012 Lidar where Orthoimagery is not available. Pools feature class is created to assist in City of Austin planning activities. This layer represents the detailed transportation infrastructure of the Austin Bergstrom International Airport as of the year 2001. This data has been produced by the City of Austin for the sole purpose of aiding internal processes and is not warranted for any other use. No warranty is made by the City of Austin regarding its accuracy or completeness. Acknowledgment of the City of Austin GIS Division would be appreciated in products derived from these data. Building footprints are created from heads up digitizing using 2012/2013 Orthoimagery and 2012 Lidar where Orthoimagery is not available.